The link between the liver and the brain intrigues you? Hepatic (liver) encephalopathy (brain disorder) is a neuropsychiatric disease affecting the brain, caused by an hepatic dysfunction. Lactic acidosis of Saguenay-Lac-Saint-Jean region, also known as Leigh syndrome, is a genetic disorder that occurs mainly in the Saguenay-Lac-Saint-Jean region. Discover our lab and our team! 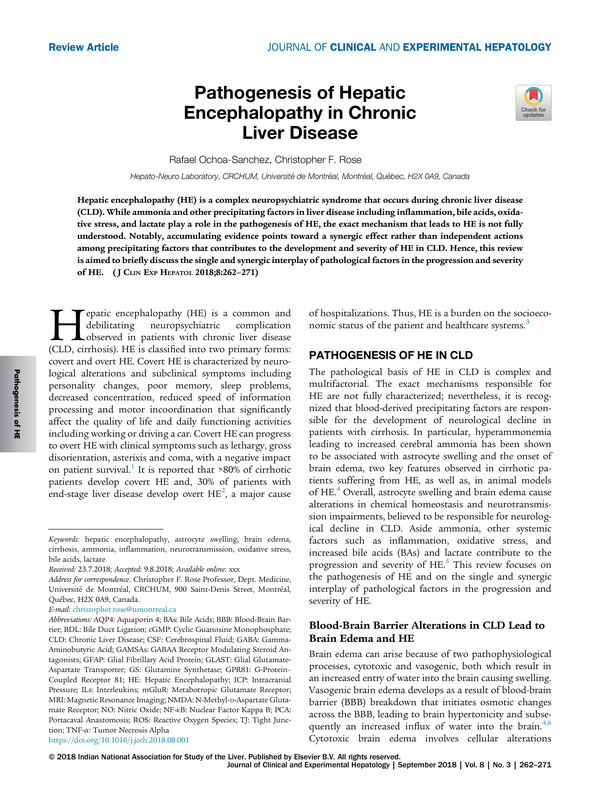 Just published a review about physical exercise for hepatic encephalopathy. A poster and an oral presentation will be given by Rafael at the 69th AASLD Congress in San Francisco. Congrats to Chris and Chantal!